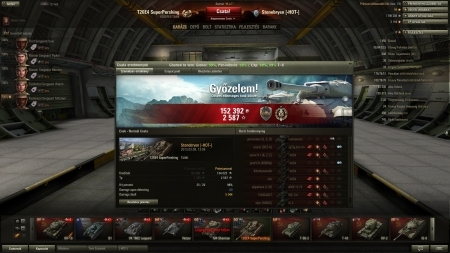 Becouse 1725 is a normal exp without premium account bonus. It's normal to use exp with premium account. GG and nice credits. 2587 is absolutely correct! Very nice Game, CG! Yep nice run there! PS. thumbs up for the unsuccessful pwot police attempt, Trival/PersyMG! And which player is better, the one with 2587 or 1725 experience? Total rubbish if you do not normalize score. Premium score is standard in pwot.